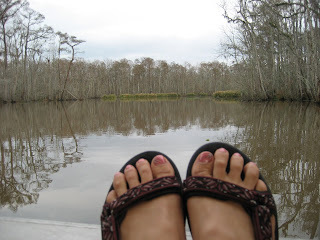 I'm going off the grid (and social media) for a bit. 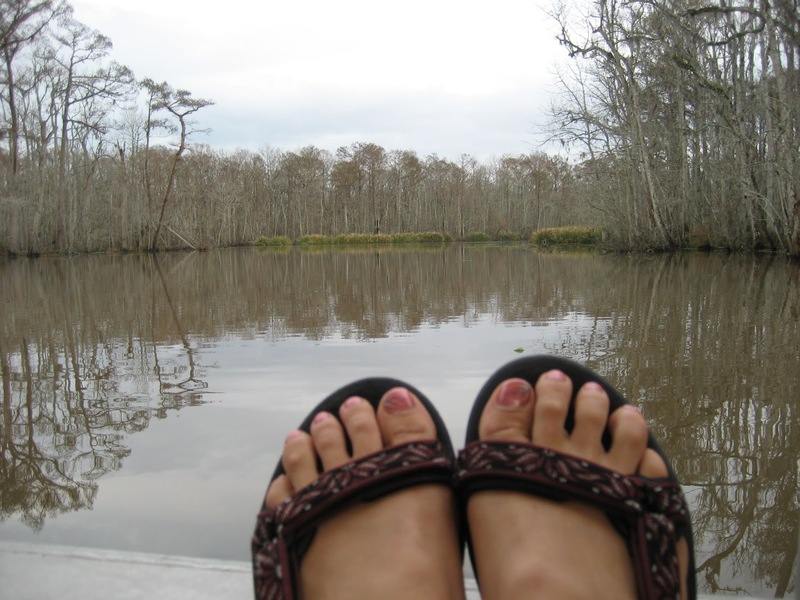 Need to breathe the fresh air, rejuvenate and be healthy. I met Madam Haliza by chance. Her niece was my school friend and one Sunday morning while we were having breakfast at KFC (damn those porridge! ), Madam Haliza and her husband passed by us. 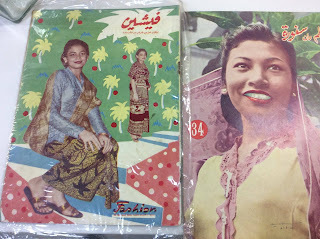 I later found out that Saleha Mohd Shah (her pen name being Haliza Mohd Som) was the Editor of Fesyen (the first Malay women’s magazine) published by Al-Ahmadiah Press situated in Kampong Gelam. 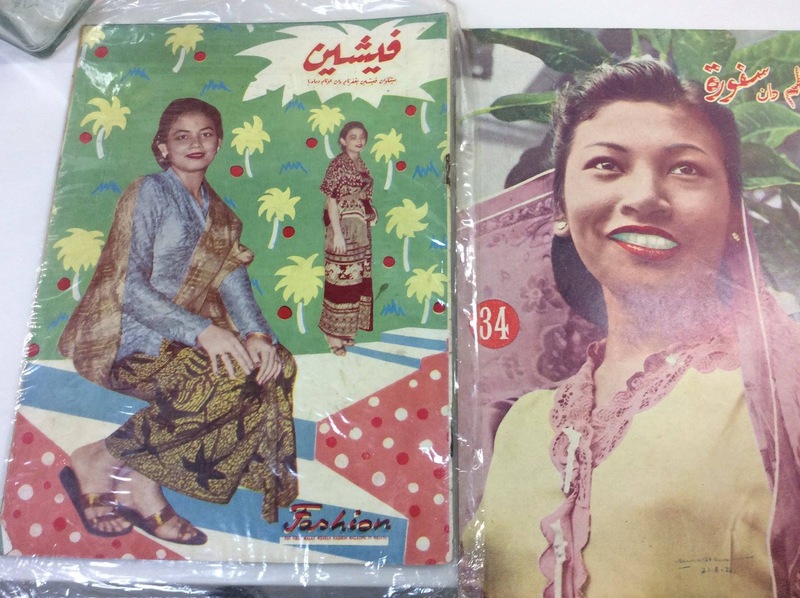 The magazine, written in Jawi, was the first magazine for Malay women with a monthly distribution of 100,000 copies in the Southeast Asian region. 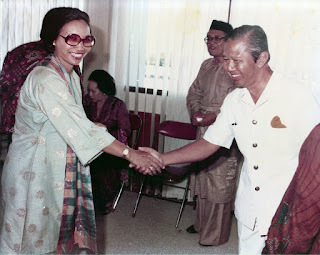 A social activist, Madam Haliza had organised a strike at the tender age of 15 when she was studying at Sekolah Perempuan Melayu Scotts Road or Scotts Road Malay Girls’ School. Her ambition had always been to be a teacher. However, the government had then decided not to continue taking in trainee teachers who had completed their schooling. In protest against that decision, Haliza led a strike whereby she and her friends refused to sit for the final examinations in 1950. 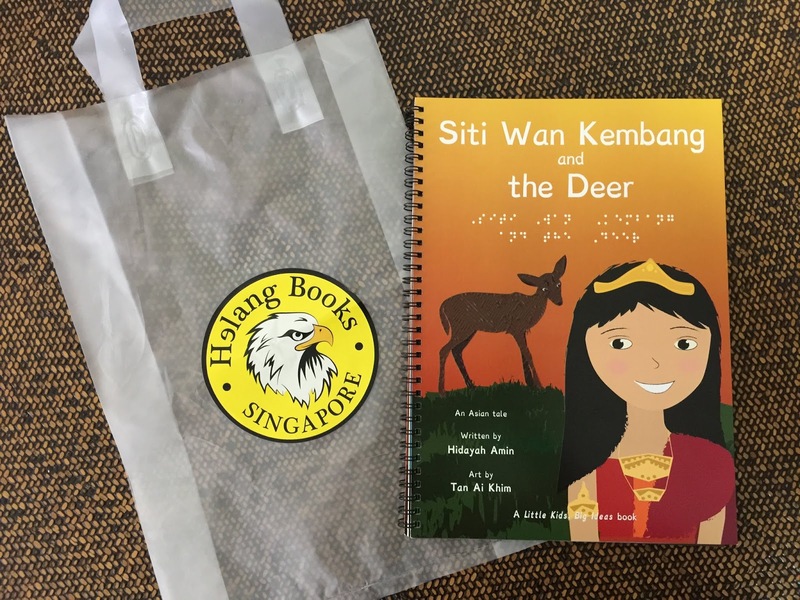 I featured Madam Haliza in my 'Leluhur: Singapore's Kampong Gelam' book. This conversation session (during 'Kampong Glam Day Out' organised by the Urban Redevelopment Authority or URA) is meant to be a post-book launch event. However, it is now a pre-launch event due to the circumstances that are not within our control. Someone asked me if what I am doing (writing and publishing books) is worth all the heartache, pain and 'I'm broke most times' state. I said, I regard my effort as a form of ibadah (service). To seek and spread knowledge is a noble thing. After all, the first word of the Qur’an revealed to the Prophet was Iqra--Read. 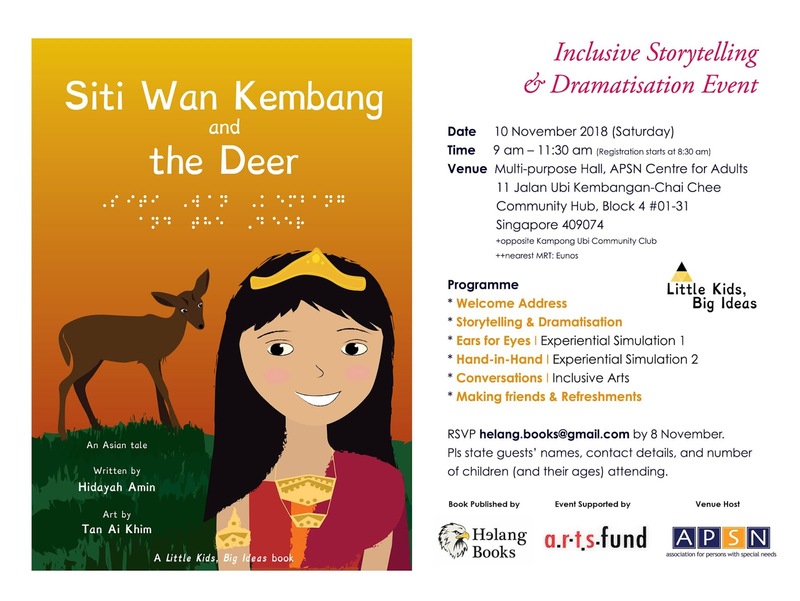 We had an inclusive Storytelling and Dramatisation Event for blind and deaf kids from Lighthouse School, AWWA School, APSN Chaoyang School, MIJ Special Education Hub, kids from Zhangde Primary School and members of the public. 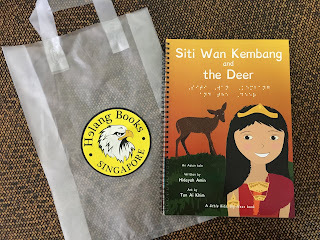 About the book: With special font, Braille and tactile pictures, this innovative One-for-All book--about a little princess doing good despite being a young orphan--caters to the needs of children with different abilities. 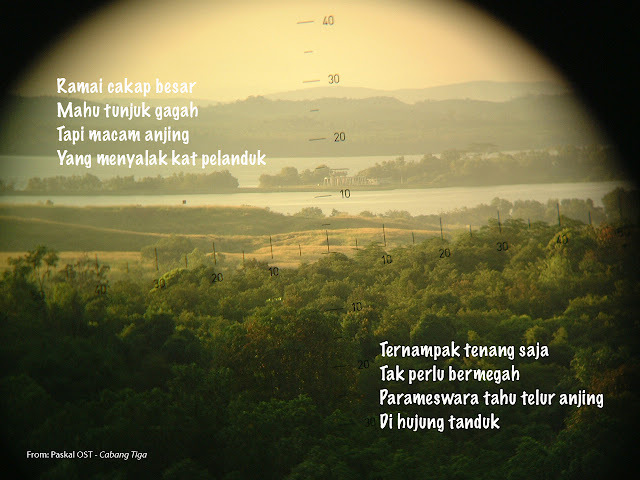 Since I'm still in my PASKAL craze, I will comment on its amazingly deep and metaphorical OST 'Cabang Tiga' (Three Branches). 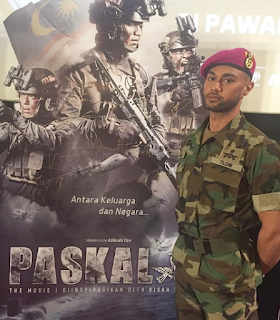 See video in 'Oh my Paskal!' post. History lesson: Parameswara went hunting and rested under a shady tree. His hunting dog started barking and chased a deer. The deer which didn't make any noise gave a strong kick till the dog fell into the river. Parameswara believed that the area he was hunting was blessed and set up a settlement there. He named the state 'Melaka' in conjunction with the tree he had leaned on. 'Leluhur: Singapore's Kampong Gelam' book launch scheduled on 3 November 2018 is postponed due to circumstances not within our control. 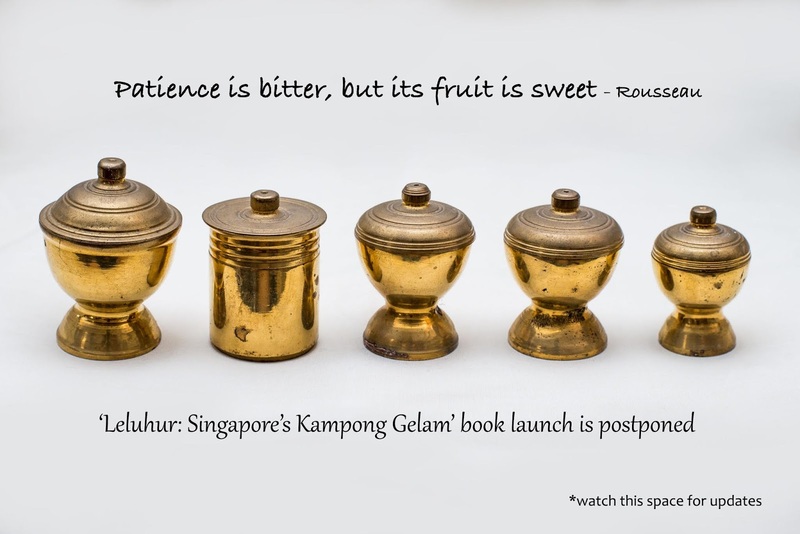 As per Rousseau, let's exercise patience as its fruit is sweet. I am not ashamed to admit that I have watched 'PASKAL: The Movie' 16 times. Once even in my kebaya as I rushed from one end of Singapore to another just to watch my heroic commandos in action. Though I spotted some conti mistakes in the movie (I was a producer), PASKAL tugged at my heartstrings. Sincere and engaging storyline, superb cast, high quality production and most importantly, it paid tribute to the priceless (most of the time, unappreciated) sacrifices made by our men in uniform. I am crushing big time on Alpha Leader Arman Rahmat (call sign Jerung) that my ovaries 'broke' each time I see the kind, stoic and dignified (and he loves his mother!) mamat Melayu. I remember my crew member had commented that our army jeep ride "boleh pecah dara". I think I had gone beyond mabuk kepayang... macam sudah termakan magic mushroom gitu. "Nak mampuih, tapi tak mampuih lagi" (spoken in Yan's Kedah accent). I would probably f@#k Jeb (bad boy attraction plus his body is hot! 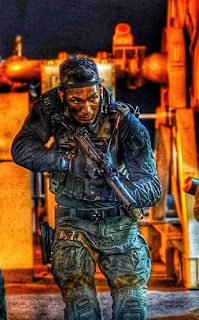 *) and shoot Rudi the pirate (if I were in PASKAL, I would like to be a sniper like Gagak). But I would still marry Jerung many times over (#tilljannah). Afterthought: If I were Misi (another hot Bintara Kanan who reads Pensées), I wouldn't know what to choose--being a doctor battling in the operating theatre or being in PASKAL. To go for one's personal ambition (and serve humanity) or to serve one's beloved country? Oh my Paskal! Please run with me. I attended the film premiere in Singapore this evening (8 Oct). I gave it 10 popcorns out of 5! Great storyline (it has soul! ), good casting (they did their own stunts), action-packed, superb acting (I actually believe they are the real team and not actors), pacing of film is just right, touching and engaging, and minority characters are given substantial and important roles. Well done Panglima Hitam! Kudos to Adrian Teh and the production team. 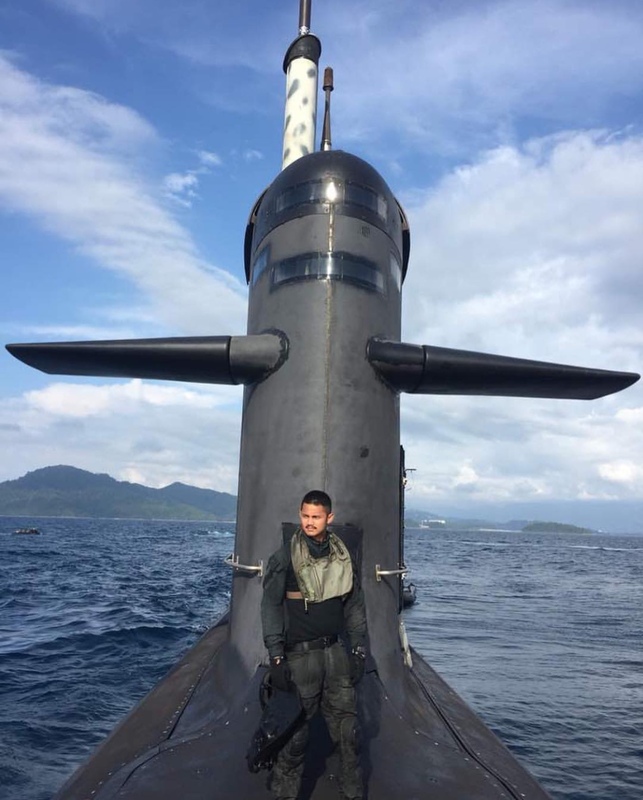 Proud of my Malaysian neighbour! 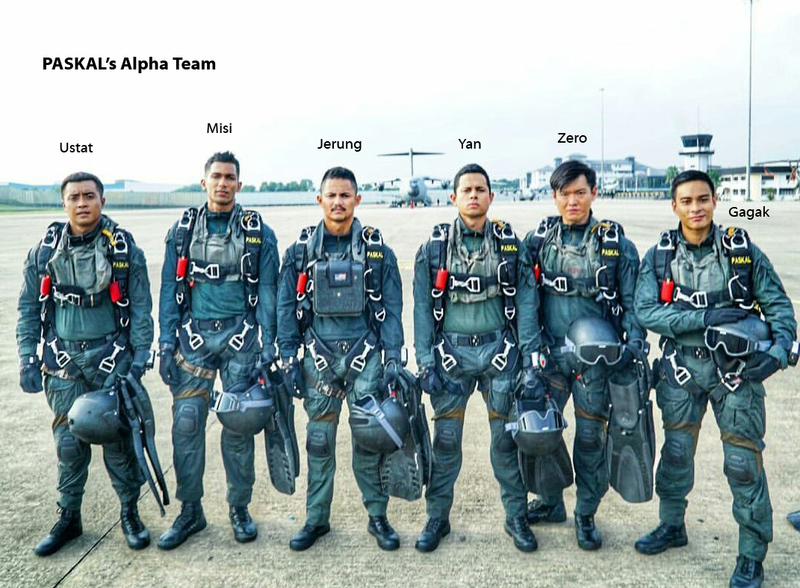 These guys are so hot not because of their physique but because they carry their duties with honour and dignity, "sentiasa terbaik" always giving the best. For example, Theebaan G acted as the strong and silent Misi who could have been a doctor but instead chose to serve his country in combat. And he reads a lot in the movie, spouting philosophical lines such as "How many kingdoms know nothing of us." I'm definitely watching it again and buying the DVD! 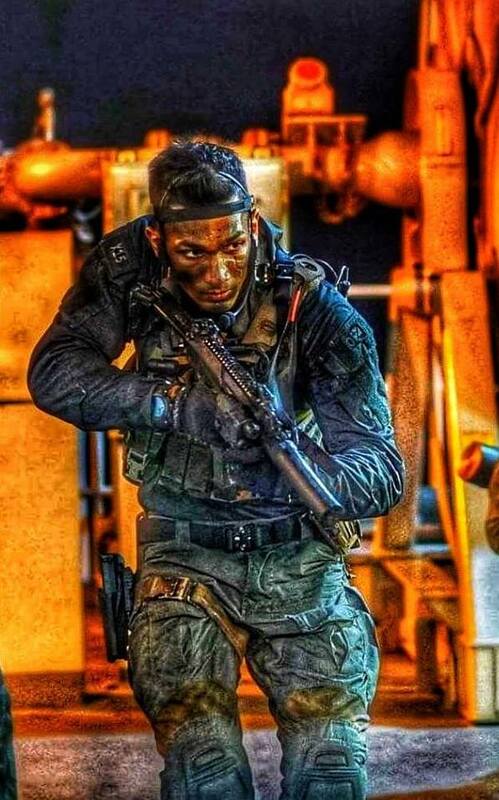 - Paskal team rescued the crew of MV Bunga Laurel which was hijacked by Somalian pirates in the Gulf of Aden in 2011. 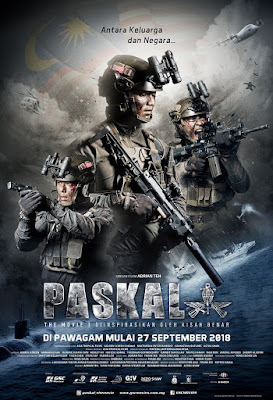 Paskal beats all four 'Ah Boys to Men' films hands down! Sorry Tosh Rock and Jack Neo. No minority characters in Paskal were cast as tokens or as comic relief.